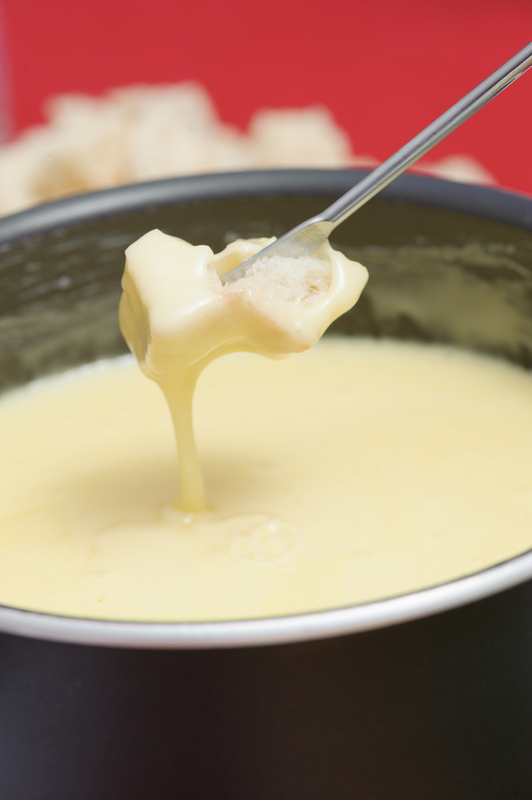 Add the white wine to a fondue pot and bring it to a boil (serve the rest to your guests if the wine is suitable and chilled). While waiting for the wine to boil, mix the cheeses and flour together in a bowl, tossing them together lightly. In a blender, add the chopped green onions, tomatoes, jalapenos and garlic to make a blender-style salsa (this can be done before-hand to let the flavours mingle or, if you're lazy, you can use a store-bought salsa). Once the wine is boiling, add the cheese/flour mixture gradually, stirring constantly. Turn the flame down and add the salsa. Add ground black pepper to taste. Stir well and continuously until you and your guests are ready to eat, about 10 minutes.